The power of art is that it could connect you to the reality of the world, emotions, values, cultures and beyond; on the other hand, it can take you to the world where you do not belong. 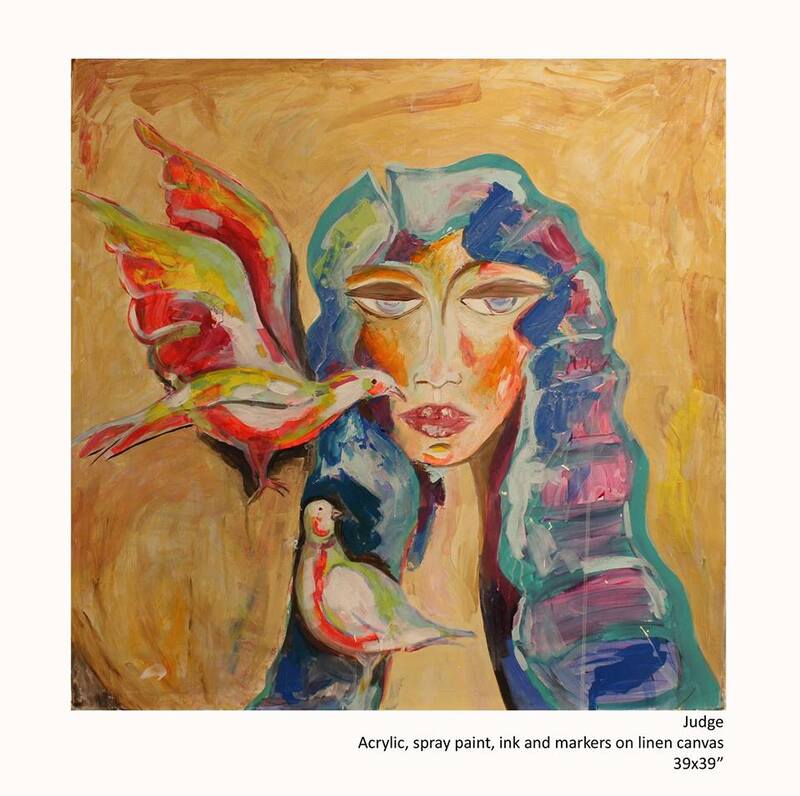 Colours, expressions and subjects are substantial to an artist and to the viewer so that the connection is strong to let the observer decode, understand and enjoy the narrative that an artist has weaved. Having the roots from Lahore, Pakistan, studied in the USA and currently based in Bahrain, Thajba Najeeb is a lively and happy go lucky woman and that one could see in her artworks. 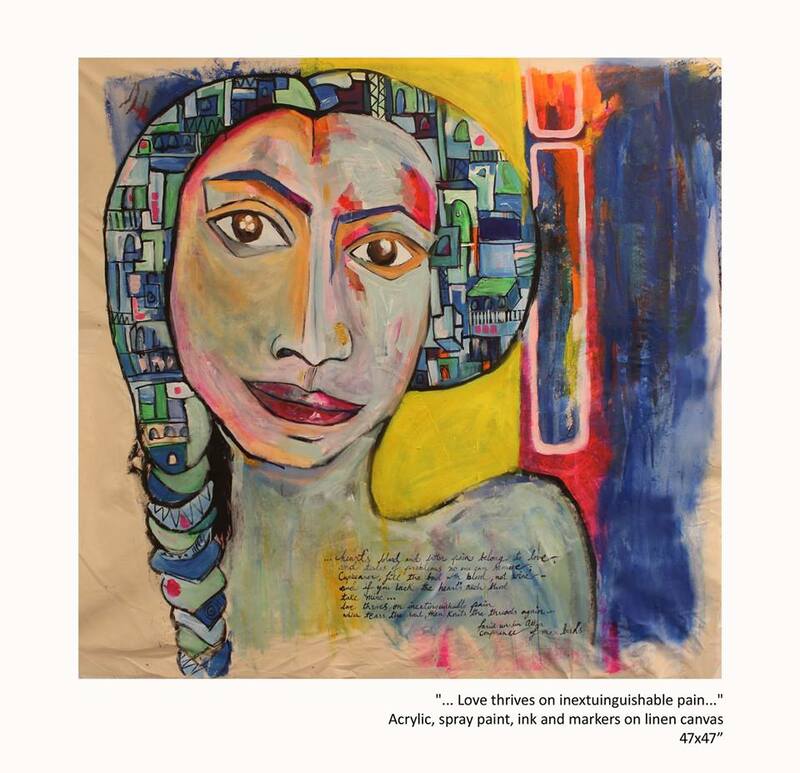 Her exhibition at Full Circle gallery titled “My Conference” displayed an array of astounding colorful paintings that depicted “Happiness”. She painted female faces and figures surrounded by birds and decorated the females with traditional jewels. Each painting could define the sheer hard work and unique techniques applied that involved an interesting process of development and evolvement of the colours. 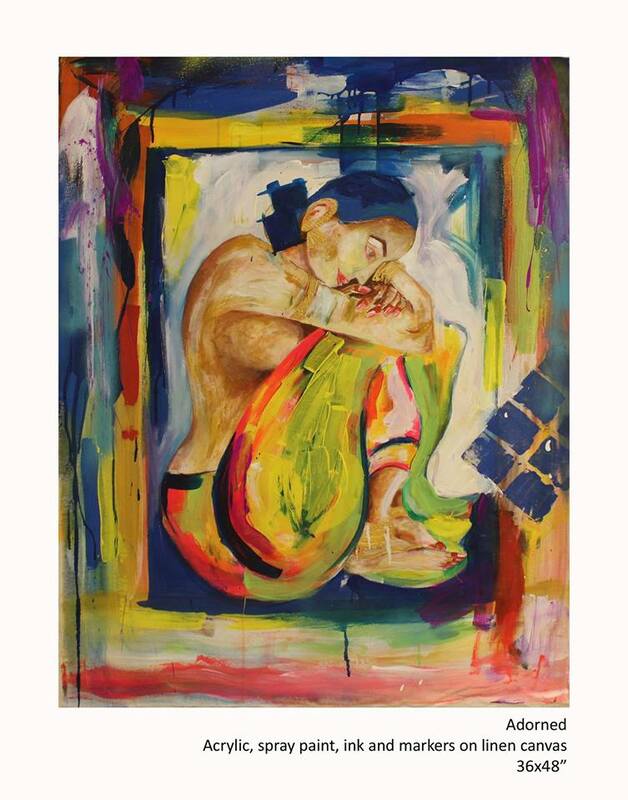 Najeeb had used bright colours from her palate to depict the females in a delightful mode. 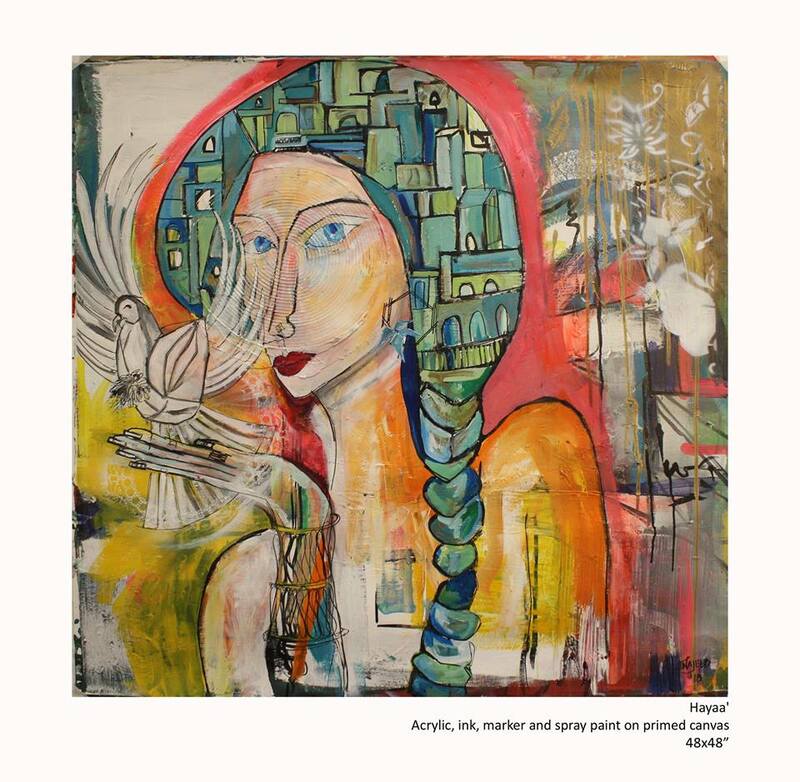 She added birds in their surroundings to provide rhythm to the paintings as well as to show the peaceful connection between human and nature. Her paintings circuitously highlighted the issue of women empowerment and individuality by naming the female paintings individually. 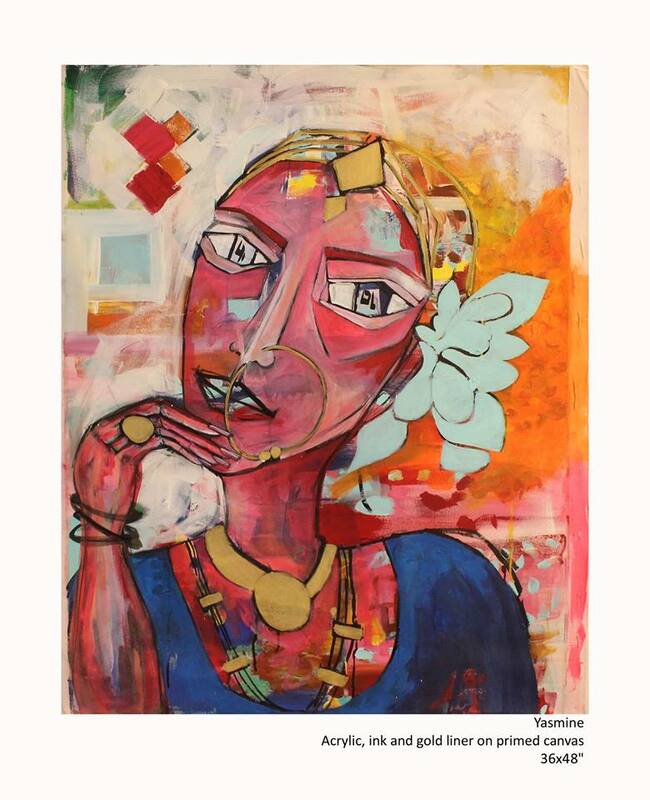 In her painting titled ‘Yasmine’ she decorated a woman’s hair bun with flower and traditional jewels like earrings, bangles, rings and a necklace. Yasmine’s eyes looked dreamy and overly exaggerated so that an observer could read millions of stories in her eyes that she held. Her vivid smile and dreamy eyes looked appealing and were trying to communicate through the canvas. Wearing an aura of confidence, she reflected beauty and self-appraisal. 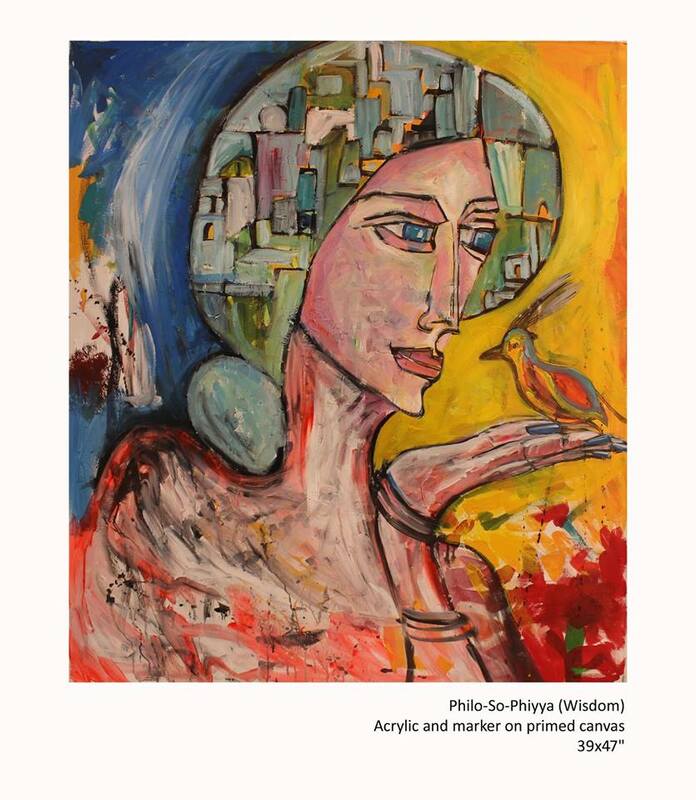 In the other two paintings titled ‘Philo-so-phiyya (wisdom)’ and ‘Haaya’ she depicted freedom that a woman enjoys. She showed a woman enjoying holding and gazing at a pigeon in her hand. Pigeons have a history with the human that dates back to 3000 B.C. and have been a source of inspiration for many artists. Najeeb painted pigeon with the woman to reflect hope, peace and happiness regardless of worldly worries and chaos. Distinct features like sharp nose and broad forehead are portrayed as symbols of beauty and the big blue smiling eyes depicted childlike innocence. ‘Judge’ is another captivating piece of the artist. She showed a female in a different appearance who is wearing a judge’s wig that depicts strength, dignity and individuality. The eyes of the woman have a depth and seemed tired that also is questioning existence, reasons and values. The other artwork titled ‘Patience Personified’ the subject’s eyes are highly expressive whereas the subject depicted maturity and seriousness. The foreground is set against a minimal background so the exaggerated earrings, nose ring and eyes are the main focal point along with the elements added that portrayed a female’s personality. Other than that, Najeeb painted architecture as she has a love for Lahore and Lahore is one of the hubs of architecture. She did not only paint the city but each brush stroke on the canvas was refreshing her memory and moments she had spent in Lahore. 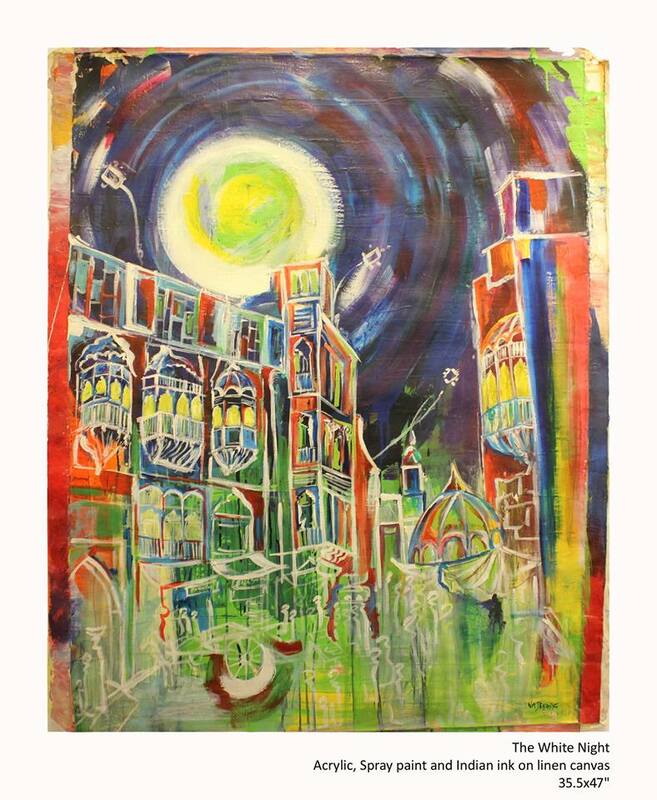 “When I paint my love affair (Lahore) in all the colors of the world, I can almost feel the smell and sounds that echo in the streets on Old Lahore- I imagine the youth of my mother and father as they walked as teens, figuring life and wondering what the world was like outside of these 12 gates. I could smell the jalebi on the street, tasting ‘kheer’ in the terracotta dishes, the concrete walls on my grandmother’s house- those were all moments I wanted to reconnect and identify with all over again. Then I fell in love”. Najeeb excitedly recalled. 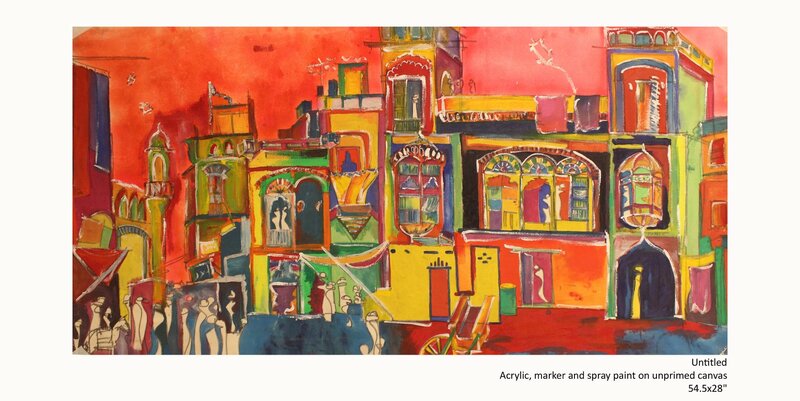 The vibrant tones of the buildings portrayed the energy of Lahore and love and infatuation of the artist for the city. 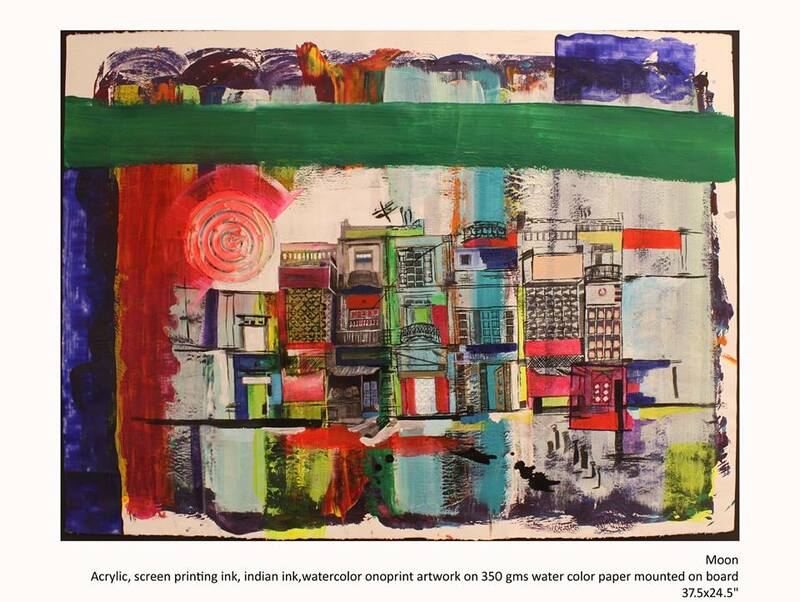 Though her work revolved around her memories of the city, it also highlighted a crucial issue of the dying heritage. Najeeb painted the city of Lahore as per her perspective of how she looks at the city even when the heritage is in the hands of mercy. 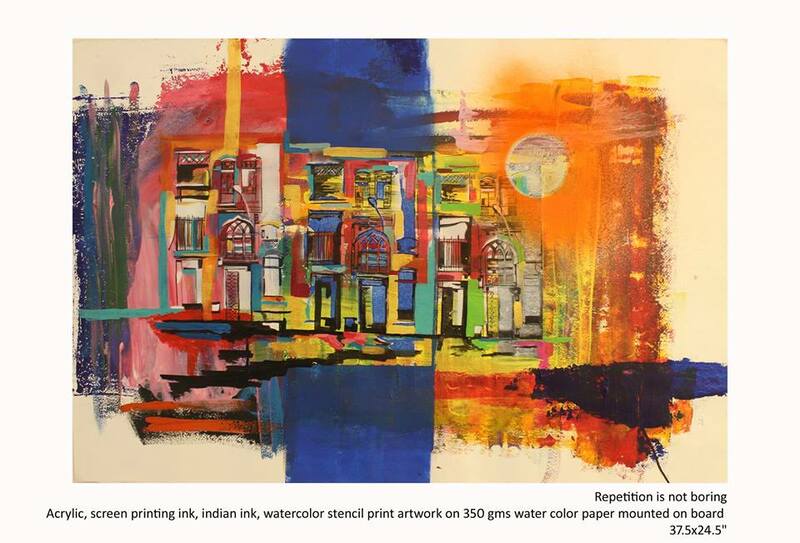 In her painting ‘Repetition is not boring’ she painted the urban structure of Lahore and repeated the same building three times in three different tones. The smart composition made it hard to discern the repetition however, it could be observed on closer inspection. 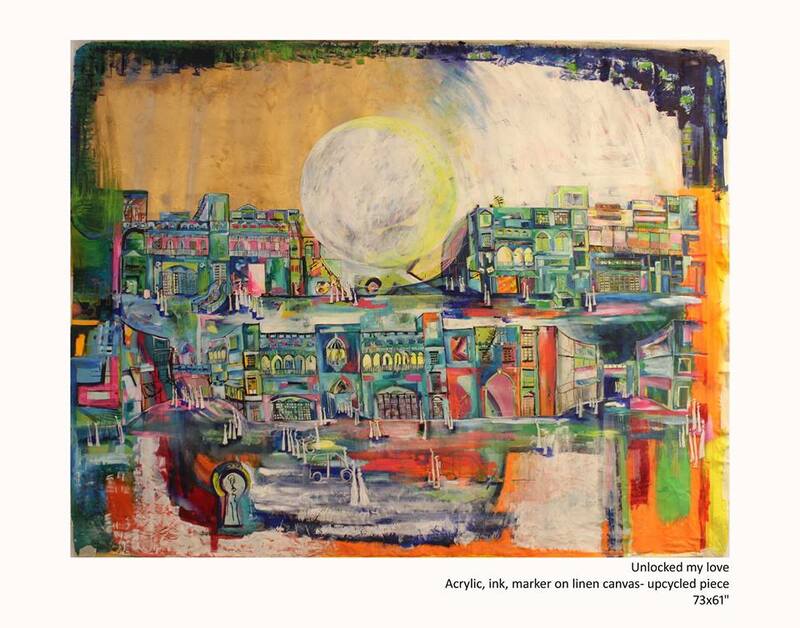 In another painting titled ‘Untitled’, the background is set in loud reddish tones, whereas loud yellows, oranges and blues were used to highlight the buildings. Najeed investigated peace and happiness in these old buildings which are slowly dying. Small distorted figures, a horse, and an empty cart could be observed in the painting that portrayed the presence of people in and around the building. 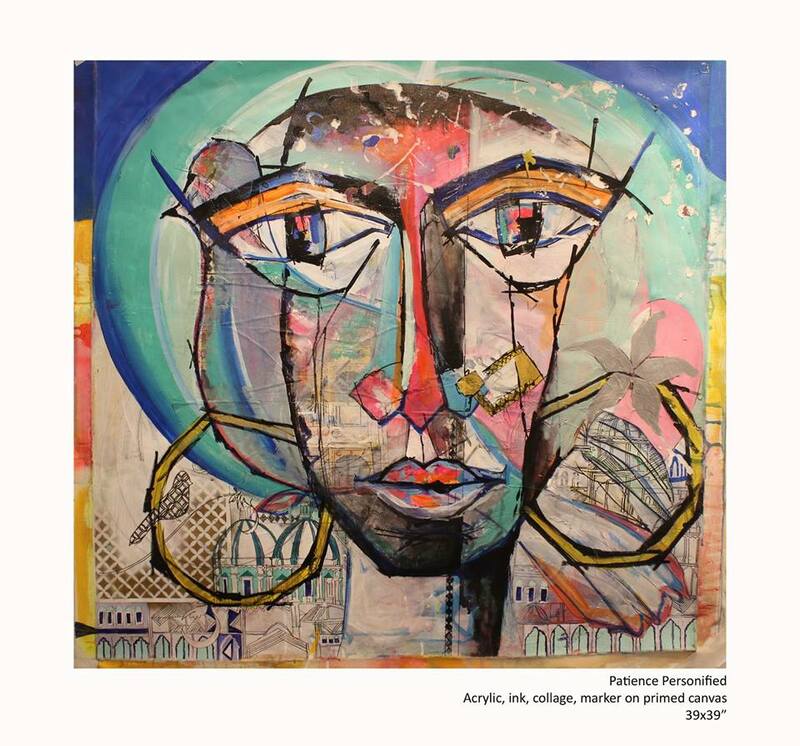 Najeeb chooses to paint those subjects which numerous artists, from the past and present, have been using as an inspiration for their paintings such as women faces, figures and architecture. But what makes Najeeb’s work different is her incessant effort and determination to bring happiness, colours and life in these subjects rather painting them in dull colours. She unveiled the characters of females and how gracefully and happily they move in the society regardless of gender obstacles and inequality they face. She was overwhelmed with the response of Karachites at the opening of her exhibition and planning to exhibit in Pakistan again after a while.